eLearnSecurity’s Christmas Gift to You! ‘Tis the season once again to get into the holiday spirit, and eLearnSecurity decided to fly by and drop off early presents for everyone – naughty and nice, old school hackers and script kiddies alike. 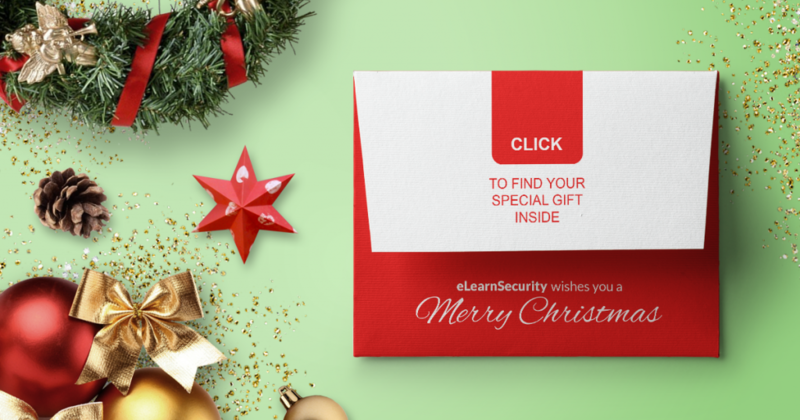 The eLearnSecurity Christmas Offer returns for another year.